Springfield, Massachusetts, Police Commissioner John Barbieri. 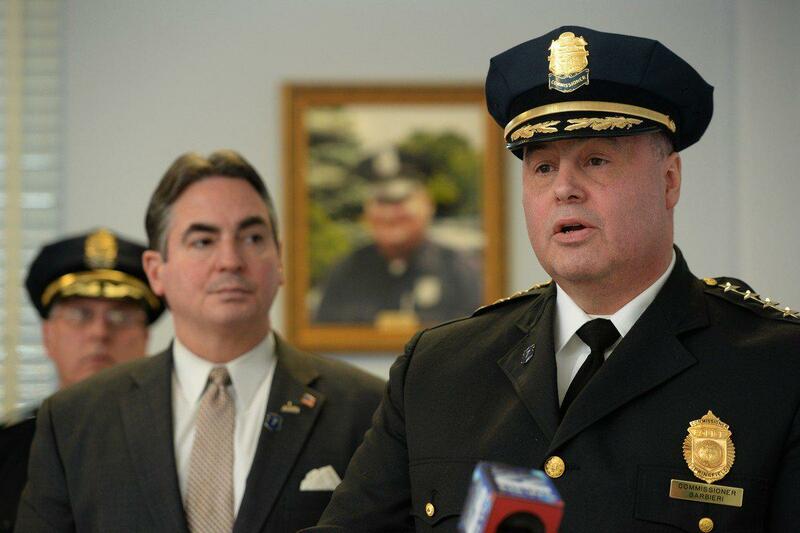 Springfield, Massachusetts, Police Commissioner John Barbieri at right, with Springfield Mayor Domenic Sarno. Outside the new Springfield, Massachusetts, casino and hotel. 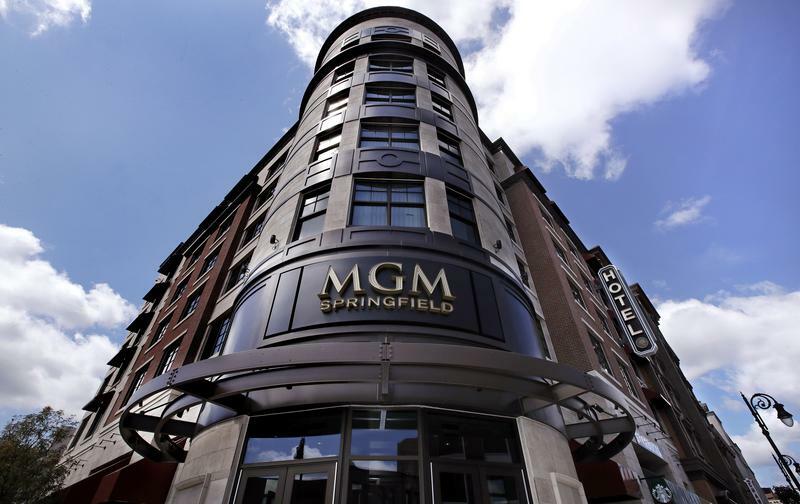 The first full casino resort in Massachusetts opens this week in Springfield. MGM and city officials say they expect up to 15,000 visitors to attend Friday's grand opening. And after that, they expect up to 10,000 people coming downtown every day to the casino. Officials have recently been on a public relations blitz, touting plans they say will not only help mitigate traffic and other public safety issues, but also provide a safe and enjoyable experience for residents and visitors alike. They say the area has been unfairly maligned over the years as a crime hotspot. John Barbieri is Springfield's police commissioner. John Barbieri, Springfield Police Commissioner: The goal will be for people that are in the metro area to look around and see a highly-visible police presence, and to see multiple other bodies on the street, because busy streets are safe streets. And to understand that the officers that are down here are not in this area because there's a problem. They're down here to be guides, to provide public safety, to provide public assistance. They're specially-trained officers above and beyond the training that a regular police officer gets. The goal is to work with about 60 service organizations, and all the businesses and residents in the area, to resolve whatever issues arise. The total plan is to make this place -- and when I talk about place, economic development zone -- not just around MGM, but from the South End, around Mill Street, lower Forest Park, all the way to Union Station, all the way down to the riverfront, all the way up to the Quadrangle, to make it a safe place, and an enjoyable place for people to come to be entertained, to come work, and to think about living in. Some Springfield residents are going to see a huge police presence downtown in the coming days, but then go home and look at crime in their neighborhoods, and wonder why the city is putting such a focus on a small part of this city, where so few residents really live. What do you say to that? And how can you assure them that community policing is not going to be short-changed here? Well, what I'll tell you is that in 2014, when I took this job, one of the first things I told the mayor that I wanted to do was expand C3 policing to make sure that our most vulnerable residents got the type of service that they required the most. We looked at neighborhoods that were impacted by poverty, by crime, by truancy, health issues. And we instilled officers in those areas with C3 police training. We have more officers in those neighborhoods than we've ever had before on a regular basis. We reorganized the department starting in 2014. My team put more officers in uniform and a proactive patrol. We took people out of investigative and administrative assignments to put them back in a uniform. We've worked hard to continue to recruit, and to hire the best people we possibly can, and to keep our staffing levels up. So the combination of the staffing provided by the city, the reorganization, and the implanting of C3 officers into the neighborhoods has assisted us with providing services to other parts of the city to allow us to have the personnel to put into the metro area. If there's an issue, if there's a hotspot, we look at it on a daily basis, and we respond to it. We'll put more people out there if need be. You know that the city has had a perception problem, that in terms of downtown entertainment, that the city has been less than welcoming. Stearns Square used to have concerts that brought thousands of people, and Bike Nights, for example, but that's been shut down. How do you change your perspective that with this new entertainment venue, that's going to supposedly attract thousands of people, that the city is going to be welcoming to everybody? I think that the city has been welcoming. I think that what's happened is the city has gotten more discriminatory in regards to how well the venues are run, the security plans for the venues, the investment from the promoters, and the public safety plans that they put forth. And I think by working with responsible promoters, I think that those promoters that come in, and they're looking at long-term benefit, not short-term bangs for their bucks, that they're willing to invest in not just, you know, whatever they need to make the money, whatever they need to make sure that the venue is safe and comfortable, that we'll work with them. I think the city is all about bringing people downtown. And I think that the plan is, obviously, Springfield is a very diverse community. 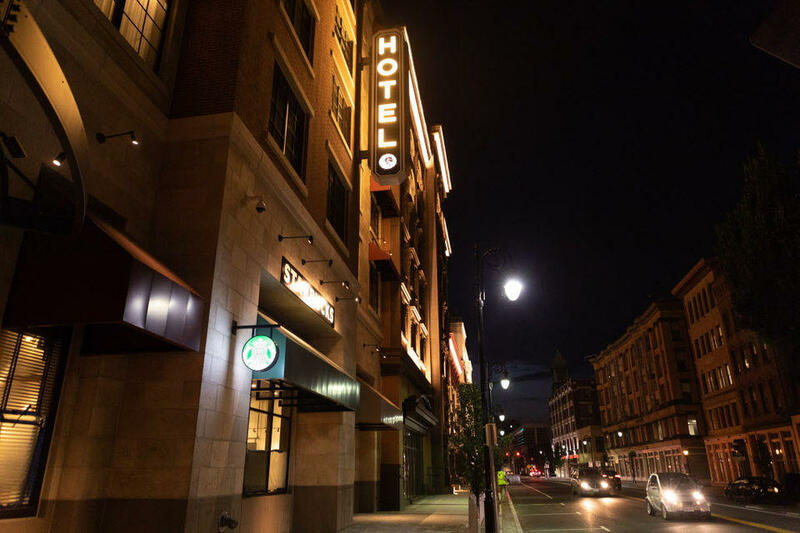 The entertainment in the downtown area should be very diverse. As you know, there was another MGM property in Las Vegas: Mandalay Bay. Last October, that was the site of a mass shooting, and nearly 60 people were killed over 1,000 people injured. Have you had any conversations with MGM about how they've adjusted their security policies in the wake of that mass shooting? I know that MGM, for every event, they do risk security plan. And we certainly have had conversations with them about accessing that. And then I sent officers to be trained to specialize in also providing our own risk security for events and for general operations. Additionally, we greatly expanded our tactical response unit, so that we have a team that's on duty, an on-call team and a standby team. And the on-duty team has vehicles and equipment ready to respond at any time. The officers that are in the area, the metro unit, are trained in recognition of issues. And then that's all supported by a real-time crime analysis unit with an installation of about $100,000 dollars worth of cameras and license-plate readers that are going in the downtown area. So you know, I'd like to tell you that will never happen. All I can tell you is that we're certainly going to work to prevent that, and rapidly respond if anything does. Primary elections were held this week in Connecticut and Vermont for several offices, including governor. In Vermont, Democrat Christine Hallquist became the first transgender person to win a major party's nomination for governor.